Spend per passenger at Heathrow Airport climbed +7.7% to reach £8.10 in the first three months of this year, figures show. In its Q1 results announced today, the London hub reported an increase in retail revenue of +10.6% to reach £136 million, due largely to significant refurbishments at Terminal 5 that have piqued duty and tax free sales. The ensuring investment in Terminal 5’s retail outlets and new car parking capacity have contributed to a £270 million incremental commercial revenue target set for the regulatory period. 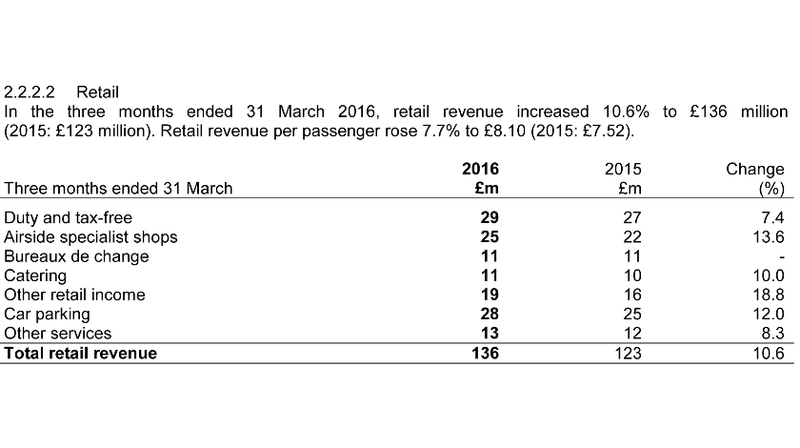 The airport posted an overall revenue of £642 million in the first three months of this year. EBITDA rose by 7.3% to reach £367 million, which the operator attributed to lower costs and better value. 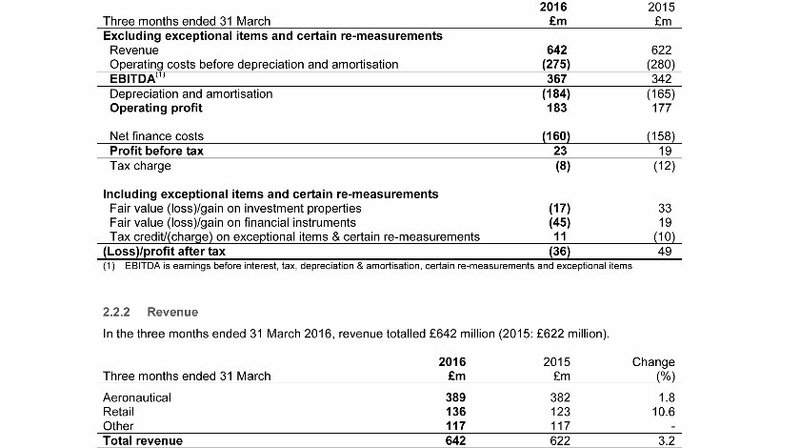 Operating profit hit £183 million, with loss after tax of £36 million. Passenger numbers grew by 2.6% to reach 16.8 million. The airport’s business plan 2015-2018 priotises customer service, operational resilience and delivers a programme of cost efficiencies and revenue growth, with over £450 million of cost efficiencies saved out of a target £600 million.